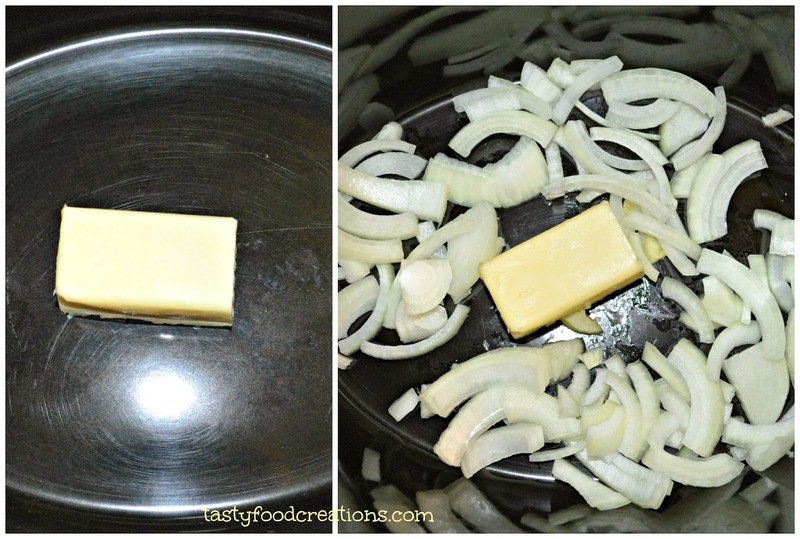 Add butter and Onion in a Crock Pot. 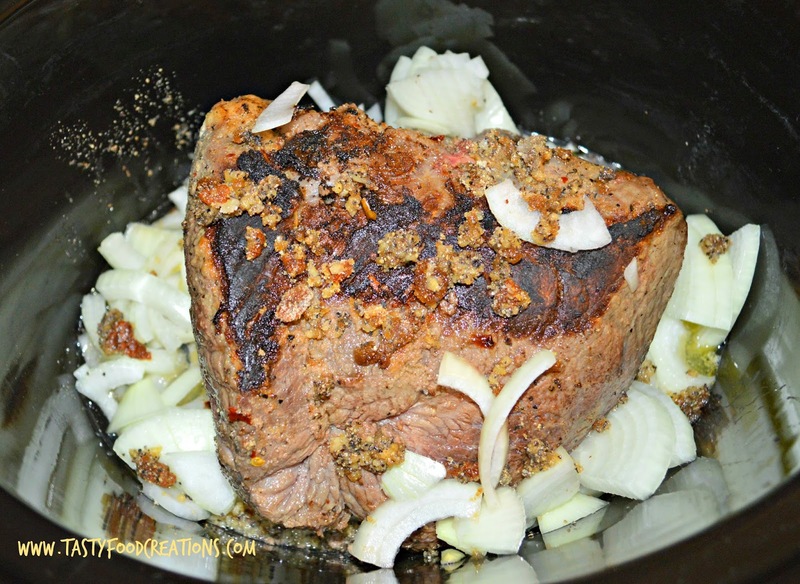 Season Rump Roast Beef with salt, black pepper, red pepper flacks and onion powder. Brown in a skillet on both sides. 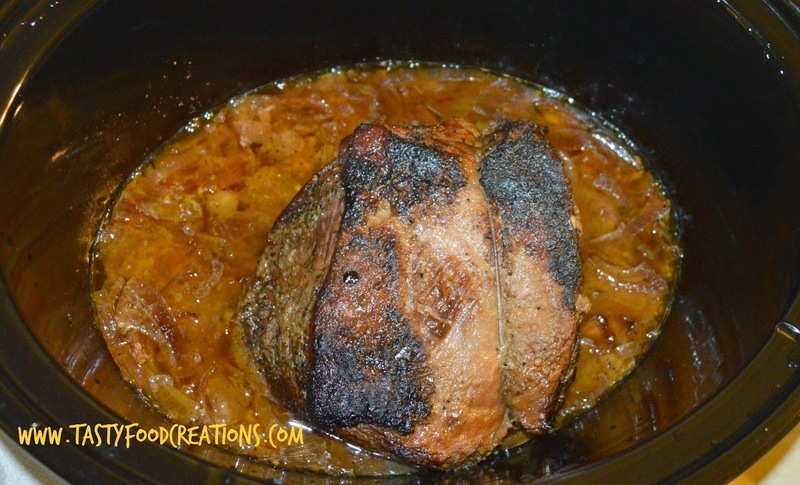 Add beef into Crock Pot and top it with garlic, beef bouillon and brown sugar. 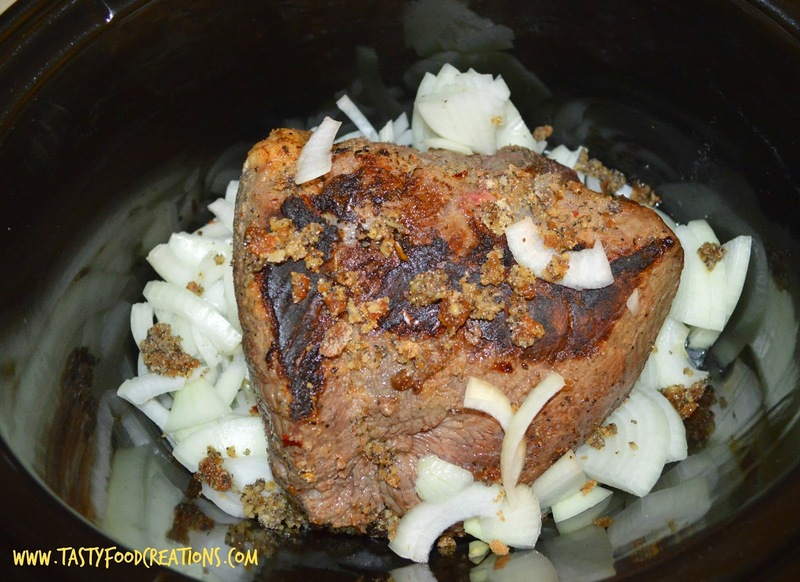 Pour water on the side of the crock pot, so the seasonings won't wash out of the beef. 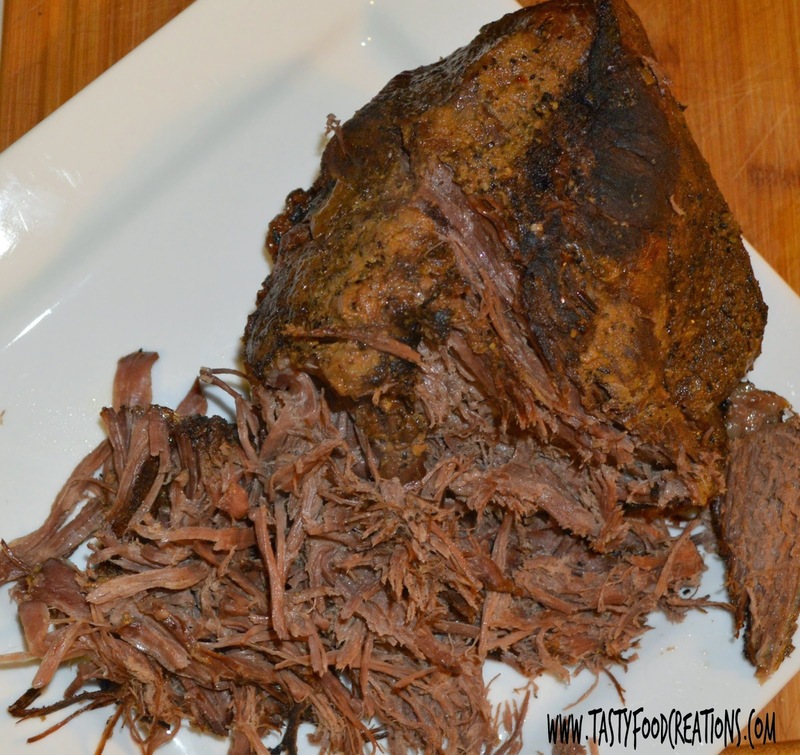 Remove Roast Beef from Crock Pot and shred or slice it. Serve it with a meal or on sandwiches. Enjoy!!! * Save Broth for French Dip Sandwiches or Beef Broth.